A historical site and a place where we meet an authentic culture and a welcoming people, historic Marrakech is a magnificent course! You love this city and we know the best places you must visit. 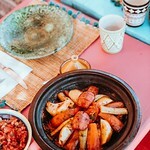 We offer the best of the city of Marrakech! Chez Ali opens the doors of a magical world, invites you to an adventure in the East elsewhere, it is with Ai Baba. A flying carpet trip! 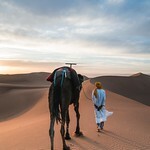 Go to the discovery of southern Morocco in an environment that adapts and finds solutions to climate hazards by drawing on its rich and glorious past. Live a unique experience. One of the most welcoming and tolerant people call you from the Sahara desert. 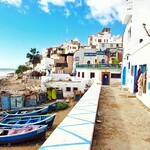 In the south of Morocco, you go to meet a tradition, a culture and an architecture! In the vast valley of Draa in Morocco are erected fortress watches of several centuries still in activity. Ait Ben Haddou is an example, now classified by Unesco. Imperial city, gateway to the South and the Grand Sahara, Marrakech is the most attractive tourist town in the South of the Mediterranean. This could not have been possible without motivation and mobilization of all the know-how and experiences acquired by the actors of the sector of tourism and the culture of the ocher city for a century now. 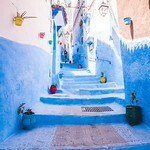 Marrakesh is dreaming and above all gives opportunities to realize dreams through unique travel experiences. We are what make you stay in the ocher city a moment of happiness, sharing and exchange. Our travel and tourism agency invites you to meet the heart of the city, its men and women so welcoming and so open. We invite you to discover historical sites, emblematic monuments and historic gardens. Our goal is unique, to make your stay unforgettable and give you the opportunity to live an experience where you meet the souls of the mountains, the desert and the city! This is where all our companies can explain to organize excursions, tours, walks, city tours, hikes and other activities that make your stay in Marrakech moments of happiness! 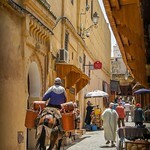 We are located in Marrakech in the medina and are 24 hours a day. 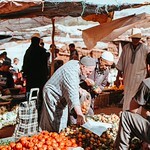 To contact us on the spot in Marrakech, nothing practical. Calculate the price of your transfers in real time through our online simulator.